Easy availability of loans in the market have made purchasing a car an easy task. So, availing a car loan to buy your dream car is a simple task. Other than spending a lot of time choosing the model and features of your car, it is also important to spend a substantial time analyzing every minute detail related to the car loan and not settle for the one your dealer offers. So before availing car loan prepare a list of all possible important questions that you want to get clarified from the finance company as it is always wise to make informed financial decisions. Following is a handy and quick questionnaire that will help you make an informed decision and save some of your money on the car loan. How much loan will I be eligible for and what are the documents required along with car loan application and what is the processing time? Financial companies offer a certain percentage of the car value as the car loan. So asking your eligibility for the car loan is very important as it will give you a clear idea of how much down payment you are expected to make. While applying for any loan you have to submit certain documents to the finance company along with the loan application. These documents are usually documents of your identity, income, and address. However, some finance companies might ask for other extra documents as per their requirement and company policies. After submitting all the required documents the finance company can take around 3 to 7 working days to process and sanction your car loan application. So if you have a strict time frame for purchasing a car like Anniversary, Birthday or Festivals like Diwali or Dushera then it is good to know the time required for processing the car loan application. What is the Rate of Interest and how it is calculated? 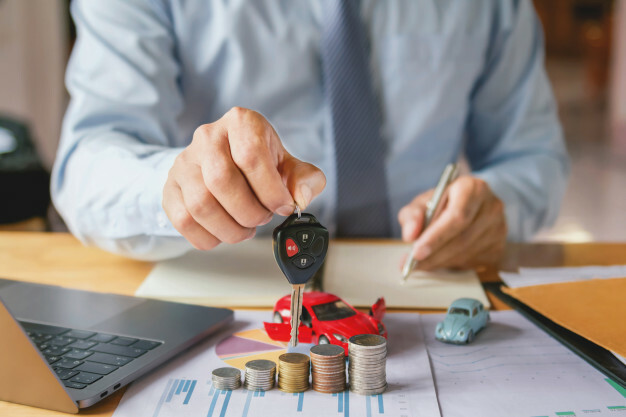 This is one of the most important questions that you must get clarified from the finance company as many people face confusion when it comes to the rate of interest of car loan. You may see that all banks offer competitive rates but when you compare EMI offered by all the banks then you might find some variation this is because the computation of interest rate is different. The difference occurs when the type of reducing balance method applied i.e. rest is different. Is there an option of choosing a type of interest rate and can they be negotiated? Interest Rate is charged in two ways – Fixed and Floating. You need to ask the finance company that whether you can choose the type of interest rate as per your convenience. Another important aspect that needs clarification is that whether the rate of interest offered by the finance company negotiable? Because YES, car loan interest rates can be negotiated if you are a loyal customer of the bank and have an excellent track record of repayment. In such cases, the bank might consider revising the existing rate of interest or might provide for some financial relaxation. What will be my EMI and what is the tenure of my car loan? What about pre-payment of car loan? Are there any other charges involved? Pre-payment of a car loan is allowed but many finance companies charge a certain percentage of penalties if the pre-payment of the car loan is done before a specific time. So make sure you get all the details related to pre-payment of car loan clarified from the finance company. Also, it is wise to ask if there are any other charges involved like a penalty on late payment of EMI, cheque or ECS bounce penalty etc. The important reason to ask for the above-given questions is that you will have a clear idea of what you are getting into and asking same questions to various finance companies will give you an option to negotiate the best car loan deal for yourself.